Summer weather is here! Of course you know that means more prospective students will be heading to your campus for tours. For prospective students the campus tour is the second most important walk of their college careers. (The first being the walk across the stage at graduation). While it is important to note the importance of these campus tours, don’t break out in a sweat over trying to create the perfect experience. To help you, we have written down some ways in which campus visits can be constructed to create meaningful interactions. The place your campus tourists are coming from. What is the weather like in their hometown? What is the size of the city? Are they from a big or small high school? This is your chance to talk about the how your institution is similar or different. Note that speaking about similarities first will help your prospects feel more comfortable with the campus. The subjects or major they have expressed interest in. Constructing your tour to focus on the interests of the applicants can help you to garner more engagement. For example, for students that express interest in art you can spend more time in the art studios. For those interested in athletics you can talk about the athletics facilities. Make sure to mention any available scholarships for their specific fields of interest. The level of interest from parents. Often the parents have a different level of enthusiasm than the applicants. Do not neglect the parents’ when doing your prep work, after all they are the ones that often have the final say regarding your prospect’s college choice. By asking the parents questions about their own college careers you can create a connection with them and further anticipate their expectations from the tour. So you have done all the prep work. Now how should you construct the tour itself? Personalization is key! Some colleges like Oregon Tech give the visitors control. Students fill out a visit request form online and choose the structure for their tour. Once students register for a visit online, admissions personnel can get to work further constructing the upcoming tour. When it is time for the tour itself you must have a personalized welcome. For example, having reserved parking spots for the visitors gives them a sense of belonging right off the bat. Giving visitors a campus “housewarming” gift also goes a long way towards keeping your college on top of their mind. Consider gifting college swag such as hats or scarves. During the visit, allow time for interaction between current students and prospects. 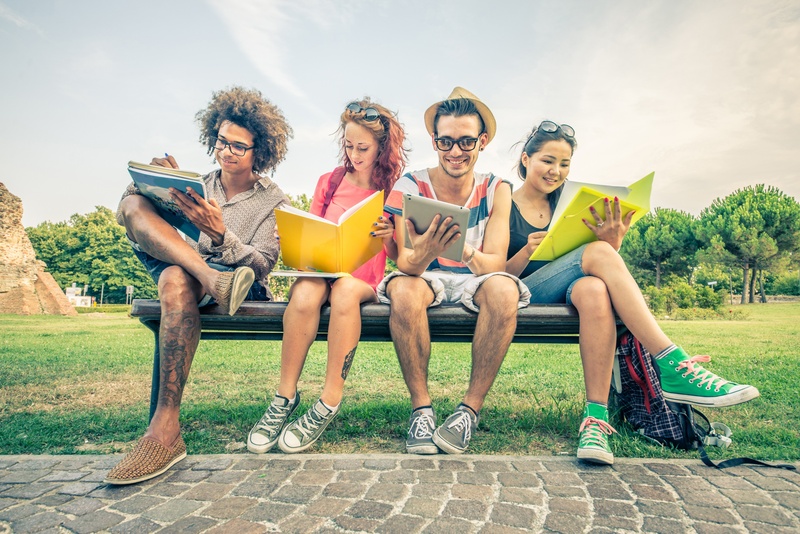 One idea is to have prospective students do an activity on campus with current students. Some campus tours end with prospects having lunch/dinner with students in the dining hall. Oglethorpe University invites applicants to spend a night with current students in their dorm rooms during Scholarship weekend. This way prospects not only envision themselves as part of the campus but actually experience what it's like to be a student. Even after completing the college tours your work is not quite done. Be sure to reach out to the prospective students to ask about their experience. Some feedback from the visitors will help to understand which areas of your campus tours need improvement and which are bringing in positive results. In summation, you should walk into conducting campus tours this season with a focus on personalization and a determination to learn from the prospects themselves.